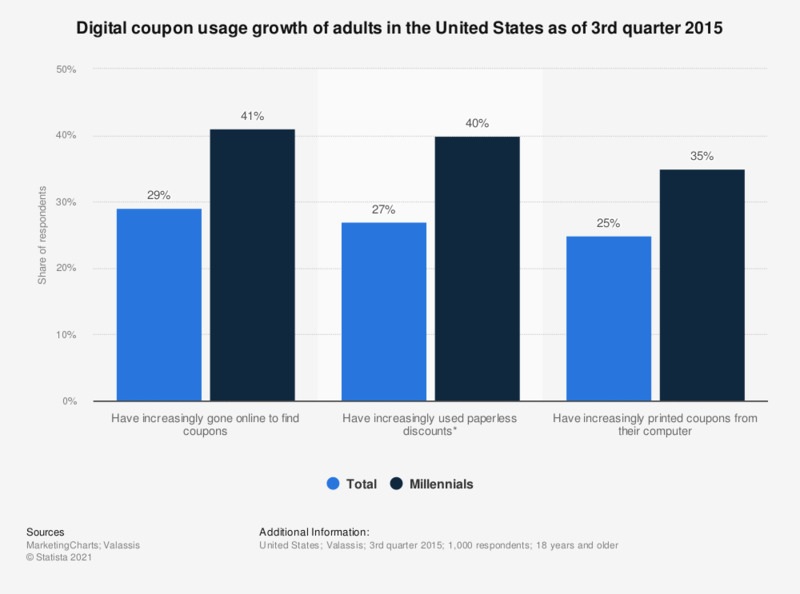 This statistic presents the digital coupon usage growth of adults in the United States as of the third quarter of 2015. As of the survey period, it was found that 29 percent of responding U.S. adults had increasingly gone online to find coupons. This was especially the case with Millennials, as 41 percent reported doing so.